Dr. Pat Hash grew up in the U.S. Navy, when his father retired they moved to Corbin, Kentucky. He became pastor of FBC on June 5, 2011 when he retired from the US Army after serving 37 years, 28 of those years as a Chaplain. He graduated from Eastern Kentucky University in Richmond, Kentucky, class of '76, with a Bachelor of Science Degree in Community Health Education. 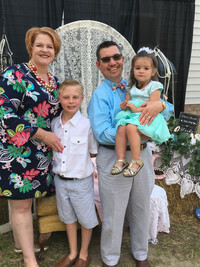 He earned a Master of Strategic Studies from the US Army War College, a Master of Divinity Degree at The Southern Baptist Theological Seminary in Louisville, Kentucky and a Doctor of Ministry Degree from Bethany Theological Seminary in Dothan, Alabama. 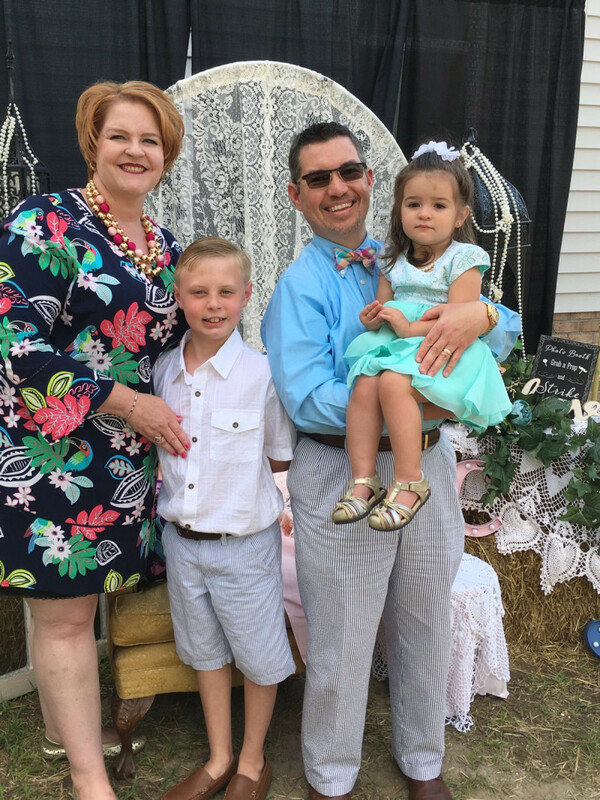 In addition to his service as an Army chaplain, Dr. Hash served two Southern Baptist Churches - Blanket Creek Baptist Church, Falmouth, KY and Jeffersonville Baptist Church, Jeffersonville, KY.
Dr. Hash is married to the former Lynn Bishop of Woodbine, Kentucky. They have four sons: LTC Matthew Hash currently assigned to Ft. Bragg, North Carolina; Sparky Hash, Charlotte, North Carolina; Joshua Hash, St. Pauls, North Carolina; and Christian Hash, college student . They have seven grandchildren; Jordan, Jacob, Noah, Sarah, Ellie, Paul, and Jenna Lynn. His favorite scripture verse is Joshua 1:9: "Have not I commanded thee? Be strong and of a good courage; be not afraid, neither be thou dismayed: for the Lord thy God is with thee whithersoever thou goest." Sonja Smith was born and raised in St. Pauls NC and came to work for First Baptist Church in February of 2007. She enjoys her job and loves the people of FBC. In her spare time she enjoys spending time with her family. She is married to her high school sweetheart, Donny Smith, also a native of St. Pauls NC. Donny works as Maintenance Manager at Elkay in Lumberton, NC. They have two children; Danielle and August. Danielle is a student at UNC-Chapel Hill majoring in Sports and Exercise Science with hopes of becoming a Physical Therapist. August enjoys playing piano, singing, softball, basketball, and volleyball. One of her favorite scriptures is James 1:2-6. These verses have given her peace in some hard times. "My brethren, count it all joy when you fall into various trials, knowing that the testing of your faith produces patience. But let patience have its perfect work, that you may be perfect and complete, lacking nothing. If any of you lacks wisdom, let him ask of God, who gives to all liberally and without reproach, and it will be given to him. But let him ask in faith, with no doubting, for he who doubts is like a wave of the sea driven and tossed by the wind.